Brits suffer from food envy once a week – with cheesy garlic bread, pizza and cheesecake most likely to bring on the green-eyed monster, a study has found. Almost half of Brits have fallen victim to ‘food envy’ – feelings of regret about a food choice and wishing they were eating what’s on someone else’s plate instead. But the cold days, dark nights and discipline required to stick to New Year’s resolutions may be contributing to feelings of jealousy. A third of Brits admit they are more likely to suffer from food envy in January than at any other time of the year, as they abstain from eating certain foods, or cut back by ordering cheaper dishes, rather than what they really want. 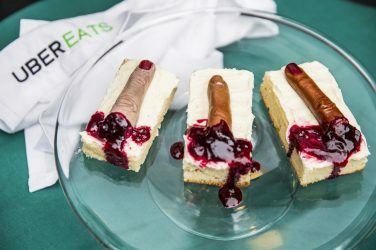 To tackle the issue, the report commissioned by Just Eat, found four in 10 usually order the same food as other people simply to avoid feeling jealous. And a quarter have changed their order altogether after seeing a friend’s choice. Graham Corfield of Just Eat, said: “When ordering a takeaway or dining with friends, there is nothing worse than feeling like you made the wrong choice when the person next to you has something you want more. “With many trying to cut back during January, food envy is rife, particularly as we battle to make it to pay day after the long month of having little or no money. The study of 2,000 adults found cheesy garlic bread is the biggest food envy-inducing starter, followed by nachos, crispy duck pancakes, ribs and onion rings. When it comes to the main course, pizza is most likely to leave fellow diners battling the green-eyed-monster along with fish and chips, steak, a hearty cheeseburger and a juicy mixed grill. A delicious slice of cheesecake is the most enviable dessert, followed by chocolate fudge cake, sticky toffee pudding, an ice cream sundae and a chocolate brownie. 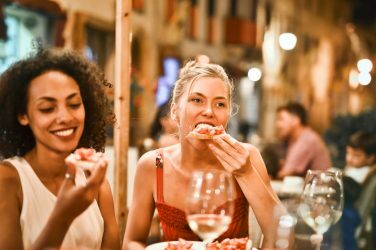 But when food envy strikes, loved ones bear the brunt with almost one in four of those surveyed, via OnePoll.com, admitting it has led to rows with others. And more than two thirds said the disagreements are usually between them and their partner. Falling outs have happened because someone tried to take food from their plate while others admit they have argued with their partner after they ordered something knowing they loved it but couldn’t eat it. One in five have even stolen food from another person’s plate when they weren’t looking, while almost one in ten have switched meals with someone altogether. From shows to movies and magazines: How Zachary Vasquez does it all!